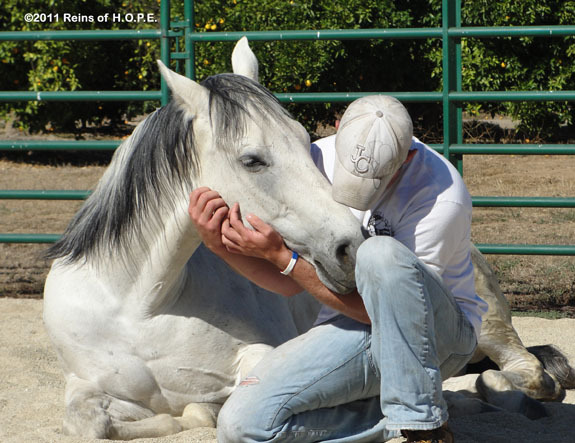 To those not familiar with equine therapy, it may be surprising that human / horse interactions led by highly trained individuals can be helpful to a wide range of individuals and groups. This is because much of the equine therapy is facilitated by non-verbal communication skills. Similar to many other animals, horses communicate non-verbally by using body language that sometimes mirrors the emotions and behaviors of those around them. These skills can be applicable to individuals seeking personal growth and development, whether children, adolescents, teens or adults. It is also useful for relationship or team building for families, couples, nonprofit groups, corporations, and more. It has proved very successful in treating at-risk youth and veterans with PTSD. Equine therapy should always be performed by a certified EAGALA certified facilitator such as those at Berkshire HorseWorks. The modality has proved to be very effective with individuals who are challenged by conduct and dissociative disorders, depression, attention-deficit disorder, anxiety, dementia, autism, PTSD, and other related disorders. See our growing list of pages under the “Who We Serve” navigation tab that are dedicated to different types of services available to help those with specific conditions. We will also be adding pages dedicated to organizational growth and learning.